National architectural practice, Corstorphine + Wright has up-scaled its Birmingham office in line with rising demand for the firm’s services. The company, which is headquartered in Warwick, will remain at Alpha Works and has taken a suite almost triple the size of its previous space. This is the third space that Corstorphine + Wright has occupied at Alpha Works, the serviced office concept within Alpha Tower in central Birmingham, demonstrating a consistent growth over the last two years. 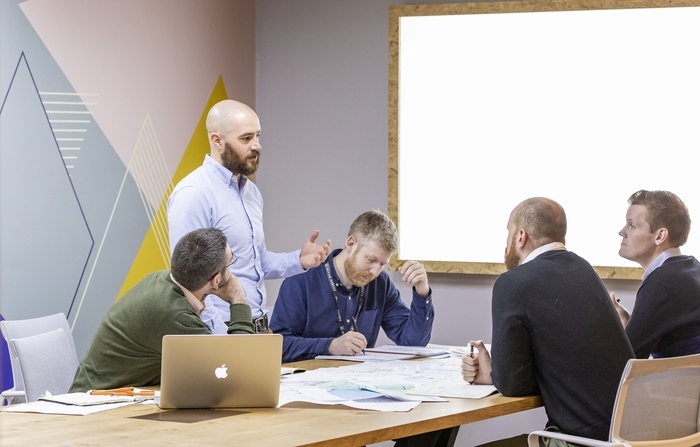 Simon Jones, Director, said: “In just three years, we’ve moved from a two-person office in the Jewellery Quarter, to a six-person, then a 10-person and now a 20-person office. Corstorphine + Wright has around 150 staff based in their Midlands offices in Warwick, Stourbridge and Alpha Tower. The firm currently has 122 active projects in Birmingham and the wider West Midlands across the residential, education and commercial sectors. This includes The Forum, Pershore Street, Arden Gate, Lunar Rise, Bishopsgate, and Dandara apartment schemes. A leading national architectural practice with offices in Warwick, Birmingham, London, Manchester, Leeds, Dublin, Canterbury and Glasgow, Corstorphine + Wright marries 40 years of professional experience with cutting edge technologies to produce design solutions that enhance the built environment, transform cities and unite communities. Corstorphine + Wright aims to achieve outstanding commercial success for their clients which include national property PLCs, leading developers, and property and pension funds.